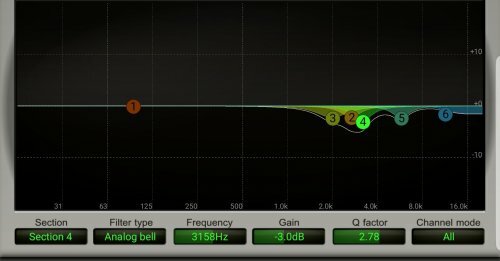 What eq preset were you using, and what source were you using to listen? Buddy bought the Mobius based on my recommendation and he’s been happy as hell. One of us! As far as music being tiring, thats interesting. Try another source app. Have you tried the warm preset? That should soften things up and puts a figurative warm wet towel between you and the music it's too soft for me though, I prefer the default. Sounds like the default curve is a little bright for you. It is for me ;] Like @foreverzer0 said, try the Warm preset. If that's not to your liking, it's not really to mine either Dx use a separate equalizer. I can't advise on what to use for iOS, for Android I use USB Audio Player Pro. nevertheless I will keep mobius that in the movies is unbeatable, a cinema! I don't see the hot preset ... Do I need to upgrade the firmware? I don't know how it came out! Ya, the Warm Preset is in the firmware update. The Mobius can have a balanced or even darker sound, just takes some tinkering. okay thanks then I update, because I repeat, apart from the "hardness" of the signature, it is the best headset I have ever tried, far superior to Oppo's PM-3 (also planar magnetic) .... I have a question: on the audeze website, in the "applications section" mobius falls into most of the use cases except for "studio / pro audio" so audeze does not indicate them for music? I have a question: on the audeze website, in the "applications section" mobius falls into most of the use cases except for "studio / pro audio" so audeze does not indicate them for music? Studio / prostudio generally indicates recording/design, either music, games, or movies. Intended uses of the Mobius are games, movies... and music =p Prefered sound signatures vary wildly, from a dark audioquest nightowl, to a bright airy akg k1000, to a boomy bassy pos vmoda(ya i said it), to a reference shure535.